In the field of business sustainability, we have enough present knowledge to build a regenerative economy – one that delivers valuable goods and services in ways that are actively good for communities and good for the eco-system. 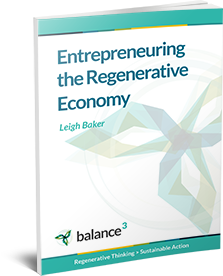 Regenerative entrepreneurs have been learning how to “do well by doing good” for nearly two decades. It’s time to shift the implementation up a level – by increasing the skills of sustainability change-makers. To accelerate the transition to regenerative business, the key skills are the conversational skills of innovation adoption – building trust, developing compelling offers, delivering results, shifting thinking and encouraging new ideas and behaviours to emerge. These skills are also the foundation of living a sustainable life, growing a rewarding career and making a real community contribution. They’re learnable skills that don’t require a degree in environmental science or an MBA. They can be practiced every day, in any context. The technology of Ontological Coaching will enable you to build your mastery in these skills. The program is a series of 10 x 2-hour individual sessions tailored to your specific situation and requirements. Sessions will be spread over a period of 3 to 6 months, depending on your calendar and on your learning process. About the process of innovation adoption and the conversation skills that support it. How to improve your ability to influence others and lead projects. 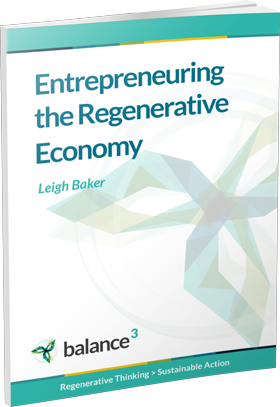 The straightforward principles that underpin profitable regenerative business. The time management and communication skills that will guarantee that your personal life is rewarding and sustainable.